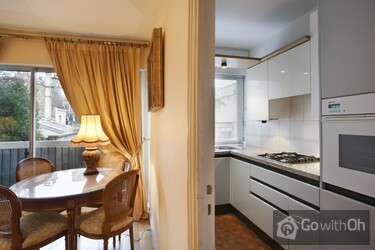 This fabulous 35m2 studio is the perfect accommodation choice to spend a few days alone or with a partner, located on the second floor (with a lift) of a modern building in the southern part of the elegant 16th arrondissement. The studio has a warm and elegant room with a comfortable double bed and a spacious dining room, a large American-style, fully-equipped kitchen with everything guests might need during their stay, and a large balcony with views over the garden. The spacious bathroom has a bath which is an ideal spot to relax after a long day of sightseeing around the streets of the capital. 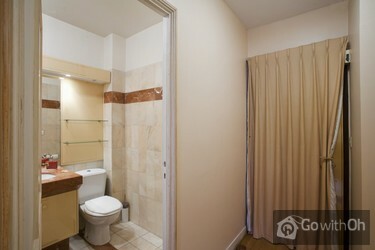 Visitors will love the peace and quiet of this apartment that has no accommodation opposite it. They can also use all the technological equipment available in the apartment. The closest metro stops are Michel-Ange Molitor and Chardon-Lagache served by lines 9 and 10 and just a 5 minute walk away .The metro leads directly to the districts of Saint Germain des Prés, the Grands Magasins and the most beautiful avenue in the world, the Champs Elysées. The surrounding area is home to numerous shops, cafes, terraces and restaurants to experience the typical Parisian life style. Check-in: from 14: 00 - 20:00 From 20:00 - 00:00, there is a supplement of 30. There is no check-in after 00:00. Before 14:00 and subject to availability: supplement of 30. Check-out from 08:00 - 11:00. Before 8:00, the supplement is 30.There is no check-out before 06:00. Cot on request at an additional cost of 20. Very good, but no corkscrew! Funcional, comodo y tranquilo apartamento en barrio residencial cerca del metro Exelmans ideal para pasar unos días de vacaciones. Recomendado. Die Wohnung liegt in einem sehr ruhigen, angenehmen Stadtviertel und nicht weit von der Metro entfernt. Sie war gut ausgestattet, sauber und die Kontaktpersonen waren freundlich. Es hat alles bestens geklappt und wir würden wieder dort hin gehen. Lovely spacious, clean apartment. Very pleasant area of Paris. Good local facitlities (5 min Walk). Good location for public transport (Metro and Bus) to all areas of Paris. Nous étions très bien reçus par la personne de contact. Contrairement à la description de l%u2019appartement, il n%u2019y avait pas de sèche-cheveux d%u2019abord. Pourtant le logeur n%u2019étant pas compliquée nous l%u2019a fourni sans hésitation suite à notre demande. Un supplément de ...serviettes et de papier de toilette plus généreux aurait été gentil, ce qui devrait être inclus dans le loyer. En une occasion, en baissant le store le levier s%u2019est cassé. Heureusement, le logeur a pu résoudre le problème instantanément en faisant intervenir un technicien. Cela m%u2019a valu la soustraction d%u2019Euro 50,00 de ma caution. 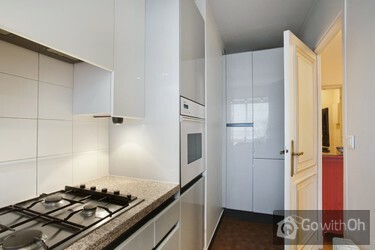 Dans l%u2019ensemble, mon mari et moi, nous avons passé un séjour très agréable dans l%u2019appartement en question et nous le recommandons sans hésitation. otiima posizione, alloggio con tutti i servizi, avremmo gradito la presenza di sapone nel bagno (era alla fine e forse il gestore non se ne era accorto). ricordarsi di chiedere il codice di accesso al portone principale del condominio. Bonjour, M G est vraiment tres gentil et attentione. Vraiment je pense faire de la bonne pub pour cet appartement pour mes amitíes et famille et je pense y revenir pour mes prochains séjours à Paris. Tout super!!!!! Studio très agréable et calme avec vu sur le jardin....On a plaisir à s'y retrouver après les bousculades au musée, dans le métro et le bruit de la ville... Proximité immédiate du métro et des Vélib' permettent de rejoindre le centre de Paris en qq minutes sans contraintes. Equipement OK, ...déco sympa et en plus le lit est très bon et tout est très propre. Bref lieu idéal pour un séjour à deux sans contraintes dans un quartier calme et sans problème. Nett eingerichtet, ruhige Lage, sehr zentral, klasse. Bon rapport qualité prix. Si vous venez en voiture prévoyez de tourner avant de trouver une place. The place was excellent and very well appointed. The owner X welcomed us very well especially since we had a bit of a set back on reaching Paris and was very understanding and patient. The only disappointment was, that there was no facility for a fan, even a small table fan and during the month of... June when we went Paris was quite hot and humid. Apart from that no complaints at all. The place was in an excellent neighbourhood and well connected to the Paris metro. un poco escaso el menaje de la cocina. Pero por lo demás hemos estado muy cómodos en el apartamento. 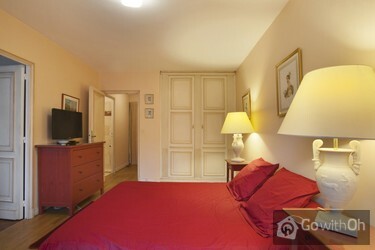 Comfortable studio well situated in a quiet and pleasant area but with easy access to central Paris. 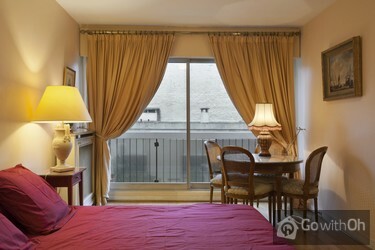 The apartment is very close to the metro station and the district where the apartment located is very safe and ordered. The owner is helpful and nice. There's a small store near the apartment which is convenient for getting fruits and drinks. We really enjoyed our stay and X was a great host! If I may suggest please try to accommodate for a microwave rather than an oven - it's more practical. Also large bathroom towels and normal pillows would be great. otherwise I would highly recommend this establishment. Great location near Metro's. The apartment was just fine except for the hot water line getting pluged up. People in the US like to have wash clothes to wash their face and two sheets on the bed and some hand soap would be nice. I would rate this apartment at a nine or very good. Ubicacion en barrio alejado pero cercano a Metro y Velib. Departamento viejo y poco mantenido, poca vajilla, poca luz en la cocina, no elementos de limpieza(escobilla para barrer piso, etc). Baño con duchador que se caia permanentemente. No tenia recipiente para residuos. No caja de seguridad. ...Cerradura muy complicada para abrir y cerrar en la puerta dei apart. No se lo recomendaria a nadie. El propietario que nos entrego el apart muy ordinario y mal educado(no estamos acostumbrados a este trato), tan mala persona que nos cobro 30 eur por haber llegado a las 13,30 en lugar de las 14,00, no es la cifra es el hecho, yo no lo hubiera hecho. Estimado cliente, agradecemos sus comentarios. El propietario nos informa de que el apartamento dispone de vajilla y utensilios en función de la capacidad máxima del apartamento. Asimismo, confirma haber revisado el estado del cuarto de baño y nos informa de que la puerta de acceso es una puerta blindada que funciona correctamente. Le recordamos también que en la página web y en el email de confirmación se encuentran indicados los costes adicionales que conllevan las entradas y salidas fuera del horario habitual. Nous avons passé un excellent séjour, le propriétaire est disponible et arrangeant. L 'appartement est propre, douillet avec un bon couchage XL. Le quartier est vivant et très bien desservi par les lignes de métro 9 et 10 qui sont proches de l'appartement. Le plus: possibilité d'avoir un ...parking dans l 'immeuble, indispensable pour ceux qui viennent en voiture! Ho soggiornato in questo appartamento per una settimana ad ottobre, l'appartamento si presenta così come è mostrato nelle foto e non c'è nessuna brutta sorpresa che vi attende. L'appartamento è situato vicinissimo alla linea 9 e 10 della metropolitana, in una zona molto bella e tranquilla. Nelle... vicinanze c'è un'altra strada la av.de Versailes dove ci sono molti negozi, supermercati e anche in buon ristorante italiano( Iannello). Nell'appartamento ci sono tutte le comodità, la cucina è bene attrezzata e, per finire, il proprietario è molto cordiale e simpatico. Ci ha dato dei buoni consigli ed è stato molto puntuale. Die Wohnung ist elegant und stilvoll eingerichtet, Küche und Badezimmer mit allem Komfort. Sie liegt in einem ruhigen, gut bürgerlichen Wohnviertel. Ein kleiner Supermarkt und eine Bäckerei sind in der Nähe, ebenso Metrostationen und Busse, mit denen man leicht zu jedem Punkt in Paris gelangenkann. Ein perfekter Aufenthalt ! 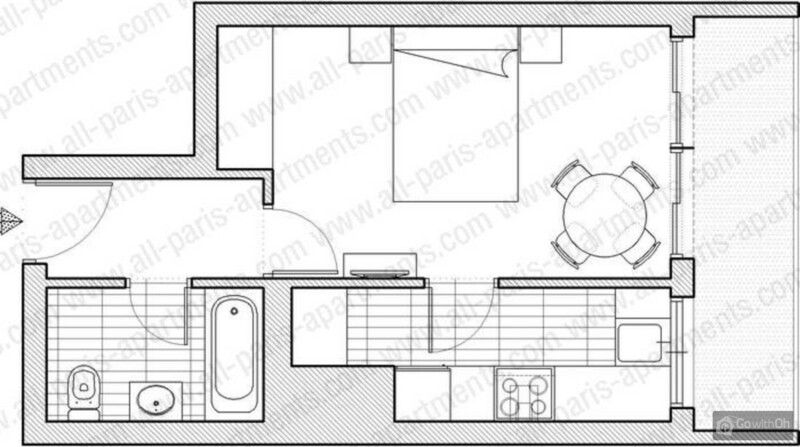 Un appartement très agréable et propre, avec un lit très comfortable dans un quartier calme. Boulangerie, supermarché, métro assez proche et un silence incroyable pendant la nuit - nous reviendrons! Sher guter Empfang mit ausführlicher Erklärung der Begebenheiten.Die Lage ist 5 Minuten von der Metro Linie 9 und 10, von wo aus alles gut erreicht werden können Ach sind im Umfeld genügend Läden vorhanden, um sich für den Bedarf einzurichten. Tipp, der Markt in der Nähe, ein Hammer.........Gerne wieder. Lage: Sehr ruhig gelegen an einer sehr wenig befahrenen Straße auf der Vorderseite. Balkonseite hinten im Garten ist sehr ruhig und angenehm. Supermarkt und Einkaufsmöglichkeiten in 5 min erreichbar.Austattung: Genau wie beschrieben, sehr bequemes Bett. Alles ist sehr sauber und neuwertig. Bei ...längeren Aufenthalt empfehle ich ein großes Handtuch von zu Hause mit zubringen.Kontakt: Problemlos, spricht gut Englisch, ist sehr freundlich.Durch die ruhige Lage nähe zu Supermarkt und Metro ( Linie 10 Chardon Lagache ) würde ich dieses großzügige Appartment als sehr empfehlenswert bezeichnen! Es muy luminoso, amplio y muy bien equipado. Tiene lavarropas. El dueño es muy amable y eficiente. El vecindario es tranquilo pero tiene buenos restaurantes y comercios cercanos. Está ubicado a 300 metros de la boca del Metro. Lo recomiendo. The owner was not there to greet me when I arrived. He never gave me the access code for the front door. The apt. is much smaller than it appears in the ad. The security deposit is excessive given whats in the apt.  basic IKEA dishware and flatware. There is no microwave, toaster or can opener. ...The owner will invoke any reason to withhold part of that deposit. I was faulted for being noisy although I hardly made a sound  I was travelling solo, never wore my shoes in the unit and never even turned on the TV. There is indeed a lot of sound transfer in the building and it affected my sleep. Dear Customer, From Oh we thank you for your comments. The owner confirms that arrived at the agreed time outside the building, while you were waiting for him in the same building, so they took 10 minutes to find you. The owner is very sorry for any inconvenience. Secondly they confirm that the access codes are found inside the apartment along with a phone number to contact should there be any incident that requires assistance. Finally, the owner informs us of receipt of complaints by the neighbors and deeply regrets the disagreement regarding the security deposit. The owner was very helpful and a really great host.The 16. Arrondissement ist mainly a residental area, so the apartment is good for all who wants to come to rest after an exiting day in this vibrating city. The bed was really good. 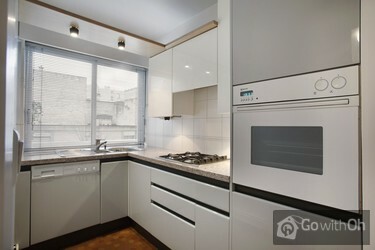 appartement au top,bien isolé et au calme proche des stations de métro,bien équipé.il manque juste,peut être,pour faire le difficile,un four micro-onde et quelques couvert supplémentaire.sinon RAS. L'appartamento è buono, e funzionale meno la porta, il proprietario X. è molto scortese, ci ha fatto aspettare fino alle 18 davanti alla porta perchè non poteva organizzare la propria giornata in altro modo, io ho subito un cambio del volo solo il giorno prima e quando gliel'ho comunicato per lui... era troppo tardi. Ha insinuato che noi avessimo rotto la porta sbattendola quando invece tutti i giorni avevamo difficoltà a chiuderla e aprirla non perchè fosse rotta ma perchè il sistema è veramente assurdo e il giorno prima di partire mi ha mandato una mail insinuando di stare attenti alla porta altrimenti avrebbe applicato la cauzione (cosa che comunque non ha fatto). Come faceva a sapere che avevo problemi con la porta se nessuno gli ha mai detto nulla ? Secondo me ha probato a fare il furbo. Ci vorrebbe un contatto migliore con il proprietario. Ma penso che il problema sia solo X. e non All Paris Apartments. Gentile Cliente, Da Oh la ringraziamo per la sua recensione. Il proprietario è spiacente di non esser riuscito ad adeguarsi al nuovo orario di check-in richiesto il giorno prima dellarrivo: occupandosi dei check-in e dei check-out di diversi appartamenti, la maggior parte degli orari erano già stati riservati. Inoltre conferma che spiega a tutti gli sopiti il funzionamento della porta per evitare qualsiasi problema. Bien situé, pas loin d'une bouche de métro ni de commerces. Appartement très propre et calme donnant sur petit jardin. Nous le relouerons très certainement lors d'un prochain passage à Paris.Propriétaire sympathique. Fijn bed en goed ingerichte keuken. Rustige ligging en dicht bij verschillende metrostations. Vooral ook de rustige buurt met Parijs sfeer is zeer aangenaam. Location is more than excellent. We also could hire (20 euros per night) a space in the garage of the complex , safe and sound. You do not need a car here, metro is just a small walk away. The appartement is comfortable but needs soms refurbisment. Cuttlery and interior is not worth the caution ...of 300 euros... Heating is central which means hot in winter, and nights are tropical... You can not adjust it yourself. Owner could have given more information : a leaflet with Paris metro for example.... 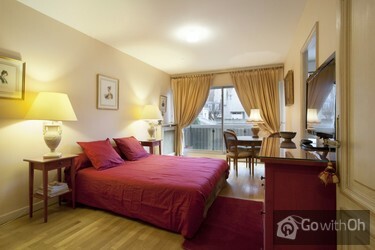 But the location is ideal for a quiet and good visit of Paris. Etwas außerhalb gelegen, aber dafür sehr ruhig und mit vielen Einkaufsmöglichkeiten, wie zwei Lebensmittelmärkte, die jeweils zweimal die Woche stattfinden. Da das Klopapier in Paris 3 á 4 Rollen kostet und vom Vermieter nur eine Rolle gestellt wird, raten wir dazu, sich welches von zuhause ...mitzubringen. Der Vermieter spricht sehr gut englisch und ist routiniert und umgänglich. Es hat alles wunderbar geklappt. Die Wohnung war genau wie beschrieben. L'appartement est agréable, calme et bien équipé. L'immeuble est propre, bien sécurisé. Le quartier est tranquille et agréable. C'est un bon choix et un excellent rapport qualité / prix. Il servizio bagno non prevedeva di teli x la doccia anche se richiesti non ci sono stati forniti. Avevamo a disposizione solo le asciugamani da viso. Soprovvisti anche di sapone. Apartment was clean, quiet and well maintained. X G was very nice, and prompt.Could have used a coffee maker,8 and the shower was pretty jiggly. 30 extra charge for "early" (7:00am) check out seemed very steep when very few return flights to US allow option of waiting till 8:00am to leave for CDG airport. 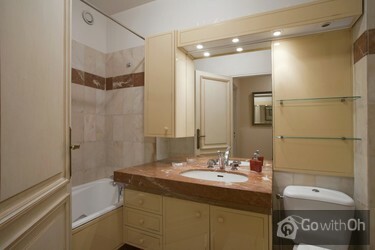 The apt is in a great location and close to markets, shopping, restaurants and Metro. However the furnishings are in poor shape and the apt needs some work. Also the towels provided are not much bigger than hand towels. The owner was very helpful. 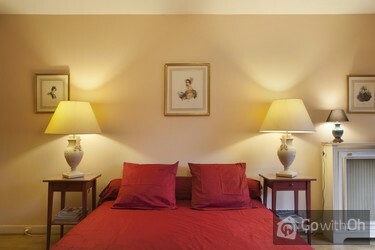 location great. . renovations in room adjacent made stays in the room during daytime to noisy. but you do not go to Paris to stay in your room. I recommend to people whom want to be independent and live as a Parisian on your visit. Apartman was very good for Paris. I recomendid it and price was ok,Owner- cold and unfrendly. He need to know that Paris is very beautiful but it is not center of world and we are not coming from 18 centry.Very veri bad timing for check inn and out and You must pay 30 euro for nothing. It is not fer. Es ist ein wenig eine ältere Wohnung, insbesondere die Dusche könnte einmal erneuert werden, aber es war alles in Ordnung. Es hat alles gepasst - wir durften gegen Aufpreis am Nachmittag auschecken. Es un apartamento muy completo. Las imágenes son fieles a la realidad. La zona es muy tranquila, quizá algo alejada del centro, pero al final del día se agradece. Nos gusto mucho y el trato fue muy cordial. Volveremos! Pendant mon séjour y avait trop de bruit,les serviettes de douche trop petite. L'ora del check-out è troppo mattutina. Sarebbe opportuno godere di maggior tempo nel giorno di partenza.